Tyler Perry is one of the most prolific entertainers in Hollywood, and his success is entirely self-made. He’s best known for playing the wise-cracking grandmother Madea on the big screen, but he’s also a successful filmmaker, author and playwright. He’s one of the most recognizable performers currently working, both by name and on screen. Perry has become such an industry juggernaut that his name is enough to sell one of his projects. His latest film, Tyler Perry’s Acrimony, opens on March 30. 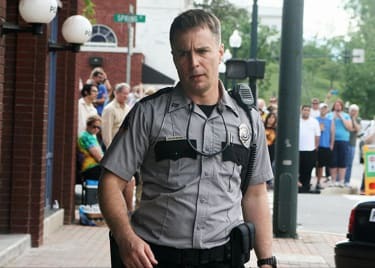 With Taraji P. Henson leading the story of a woman who takes revenge on her unfaithful husband, the film looks to be a tense thriller featuring a great cast that also includes Lyriq Bent, Crystle Stewart, Ajiona Alexus, and Danielle Nicolet. 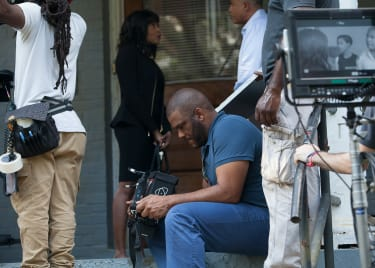 Tyler Perry’s Acrimony looks to showcase the director’s versatility while adding to his already-impressive filmography. In honor of his latest film, let’s look at how Perry built a billion-dollar empire from almost nothing. Tyler Perry was born and raised in New Orleans, Louisiana, as Emmitt Perry Jr. He was raised by his mother, Willie Maxine Perry and his father, Emmitt Perry Jr. Perry’s mother was very religious, but his father was abusive. Although Perry’s home life was violent and chaotic, he found peace and safety in the church. When he was 16 years old, Perry legal changed his name to Tyler Perry to distance himself from the memory of his father. Shortly after changing his name, Perry dropped out of high school. He earned a general equivalency diploma (GED) and moved to Atlanta, Georgia. He struggled for several years jumping form job to job, then found his true calling in an unlikely place. He began writing a series of letters to himself to cope with his past personal trauma. The letters later became the central focus of his first musical, I Know I’ve Been Changed. With a new sense of focus, Perry saved up twelve thousand dollars and produced the show by himself in 1992. It was a failure, and for the next six years Perry was essentially homeless. He lived out of his tiny Geo Metro, while continuing to pursue his career. Although I Know I’ve Been Changed failed in its debut, six years later in 1998 the play was revived and began a successful touring run which served as Perry’s big break. Following the second-wave success of I Know I’ve Been Changed, Perry created Madea in the 2000 play I Can Do Bad All by Myself. 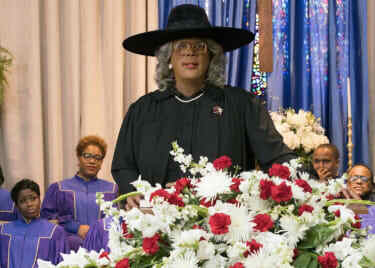 The basis of Madea is pretty simple; the character is Perry in drag. But his portrayal of the elderly grandmother created a sensation. Madea was originally meant to be in only one play, but audiences fell in love with her. Perry quickly realized the demand for Madea and capitalized on the opportunity. From 2001 to 2003, Perry incorporated Madea into several new plays including Diary of a Mad Black Woman, Madea’s Family Reunion and Madea’s Class Reunion. He took his shows all over the United States and fans flocked to the performances. In 2005, Tyler Perry made his big screen debut in the Lionsgate-produced film version of Diary of a Mad Black Woman. Perry played 3 roles in the film (including Madea), which grossed over $50 million on a $5 million budget. The film introduced Madea to a wider audience and took Perry’s career to the next level. A year later, Perry jumped into the director’s chair for the film Madea’s Family Reunion. The film grossed $63 million on a $6 million budget and proved that Madea was a hot commodity. Shortly after the release of Madea’s Family Reunion in 2006, Perry opened his own production studio in Atlanta. When Perry founded Tyler Perry Studios (TPS) he pivoted towards becoming a full-fledged mogul. The first two Madea films made their production budget back ten times over, a rare return. Perry decided that he would be the one to cash in on his success. This was a crucial moment in his career, because he essentially cut out the middle man. Lionsgate still served as the distributor for his films, but TPS handled almost everything else. Since it was founded, TPS has produced 16 movies, 14 stage plays and five television series. The company has published two books, including Tyler Perry’s best-selling novel, Don’t Make a Black Woman Take Off Her Earrings. In 2016, Tyler Perry Studios estimated annual revenue was valued at $900 million. Perry essentially invested in himself in 2006, and went from living in a car to running a billion-dollar franchise. He maintains a strong fan base, and all his films tend to be critic-proof. Just last year, Tyler Perry’s Boo 2! A Madea Halloween received a only 6% from critics on Rotten Tomatoes, but it still grossed over $46 million. Perry continues to deliver on his fans’ expectations and it doesn’t look like he’s going to stop any time soon. Check out Tyler Perry’s Acrimony when it hits theaters on March 30, 2018.